The smart goal is to lose fat, not just weight. The question is, what fat? 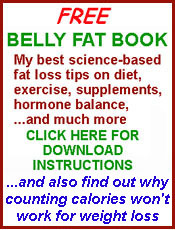 Is there really bad body fat that is different from good body fat? Absolutely, and here is what you should know about each one. Body weight and body fat are general terms. Both are easy to measure. You can quickly find out your weight on an ordinary scale. You can just as quickly find out our body fat percent on the same scale if it has a bioelectric impedance device inside. Or you can measure total body fat percent with a handheld device. Neither of these physical measures is consistently valuable in predicting health outcomes. We simply measure them because they are easy to measure. This doesn’t stop weight loss gurus from breathlessly pointing to body weight and body fat as if they are the end-all and be-all of health. Sometimes they even cite other numbers that are supposedly useful, such as Body Mass Index (BMI), which is based on weight and height. What body weight, body fat percent, and BMI fail to consider is total body composition, which means the components of lean body mass as well as the components of fat mass. It’s not too complicated to distinguish between muscle mass and bone mass, although you won’t be able to do it at home. The bigger challenge, though, is to keep track of the most important of the three kinds of body fat. Doing so is the easiest and most meaningful way that you can track your metabolic health when it comes to fat metabolism. Subcutaneous fat comprises about 80 percent of your body fat. This is what appears around women’s butts and thighs and gives them a womanly figure. (Sorry, ladies – that is where you are supposed to have plenty of fat.) Men have it, too, just not as much. Subcutaneous fat correlates with longevity. That’s right … the more you have, up to a limit, the longer you are likely to live. This is a good fat. Visceral fat (aka, abdominal or belly fat) is the evil one. This is the fat that appears inside your abdomen, where it doesn’t belong. It is also the fat that accumulates in your liver, which is a huge no-no for your health. As the abundance of visceral fat rises, so does the size of your waistline. Isn’t it convenient that visceral fat is what causes your belly to protrude? This just means that the best way to keep track of visceral fat is simply by measuring your waist. No fancy equipment or blood test needed. The more your waist shrinks, the better off you are. There still isn’t a good study that offers practical strategies. It seems, though, that a LOT of exposure to cold might be required to accomplish anything significant. Brr!